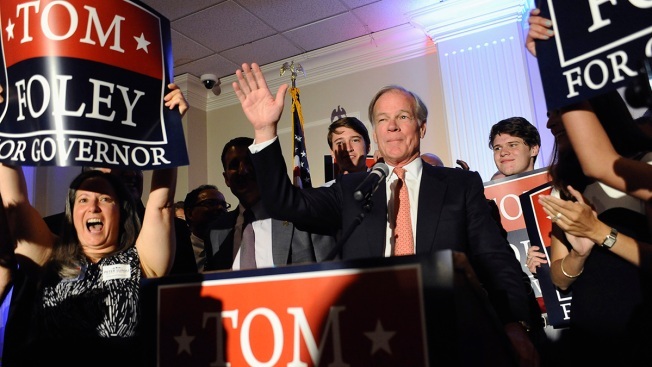 A spokesman for Connecticut Republican gubernatorial candidate Tom Foley says most of the ideas included in his urban plan came from a public policy think tank he founded. Democrats are accusing Foley of lifting ideas for his plan, unveiled Wednesday, from Democratic Gov. Dannel P. Malloy and other sources. Chris Cooper, Foley's spokesman, said "borrowing policy ideas from states that have successfully road-tested new policy initiatives is not plagiarism, it's smart." Democrats sent an email highlighting passages from Foley's plan that are the same or similar to those in an article about urban crime in Louisiana. Mark Bergman, a spokesman for Malloy's campaign, accused Foley of being "devoid of a specific thought or idea for urban communities." A cap on local car taxes is among Foley's proposals.